The inflatable Solar Air Lantern can provide 12 hours of light from just one charge and retains full charge for three months if inactive. A view of the Solar Air Lantern while inflated. A view of the Solar Air Lantern while deflated. A view of the solar panels of the Solar Air Lantern while inflated. Getting stuck somewhere without any light, like having to change a tire on the side of a dark road, isn’t an ideal situation. It is for this reason that the Solar Air Lantern was created. 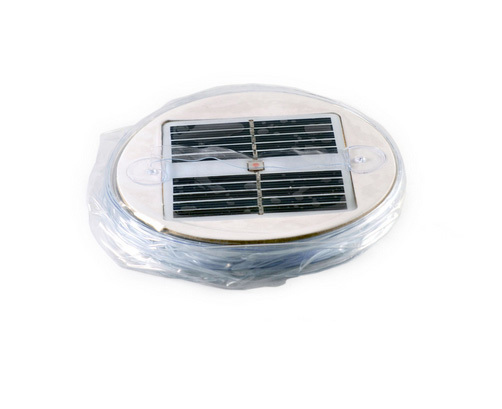 The Solar Air Lantern is an inflatable light that can provide up to 12 hours of bright light off one charge. With 10 LED lights, the illumination from the Solar Air Lantern is extremely powerful. 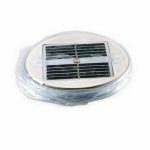 Whether in a car, at home or in the user’s bug out bag, the Solar Air Lantern has the power to shed light on all types of tasks and all kinds of situations. 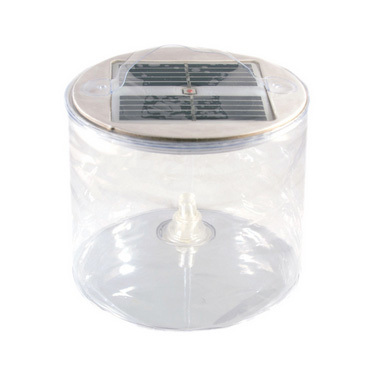 The Solar Air Lantern stands at 5 inches tall when fully inflated and just 1 inch tall when deflated. With a weight of just 4 ounces, the lantern is practically weightless. 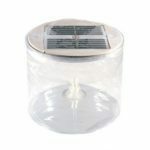 The Solar Air Lantern retails for $19.97 and is available now. 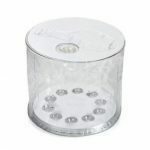 For more information on the Solar Air Lantern, please visit Survival-Center.com.